A skier spins off a jump during Boreal Mountain Resort and Woodward Tahoeâs Summer Shred on Saturday, July 1. The event marked the resortâs final day of the season for running ski operations. 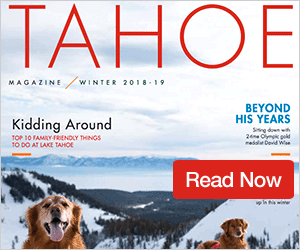 With summer temperatures melting the remaining snow in the Truckee and Lake Tahoe areas, there were still two places left last weekend for those looking to find one last taste of winter fun. Powdr Corporation, which operates Boreal Mountain Resort and Woodward Tahoe, concluded this season’s ski and snowboard operations with the resort hosting one final day of riding called Summer Shred; while over at Squaw Valley Ski Resort, the resort hosted Fourth of July festivities with four days of skiing, running from July 1-4. With temperatures reaching into the 80s on Saturday, July 1, dozens of riders flocked to Boreal for the final day of riding, with the resort running its Castle Peak chairlift, from 10 a.m. to 3 p.m. According to Boreal Marketing and Communications Manager Tucker Norred, this season marked the first time that Boreal has been able to run its annual Summer Shred event from the top of the mountain down to the bottom. 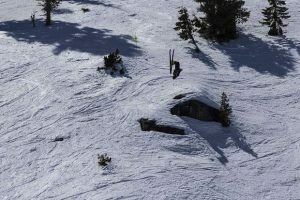 In order to battle rapidly melting snow, Norred said that since the resort ended the ski season in late April, mountain crews have been busy bringing in as much snow as possible to the areas designated for the Summer Shred. 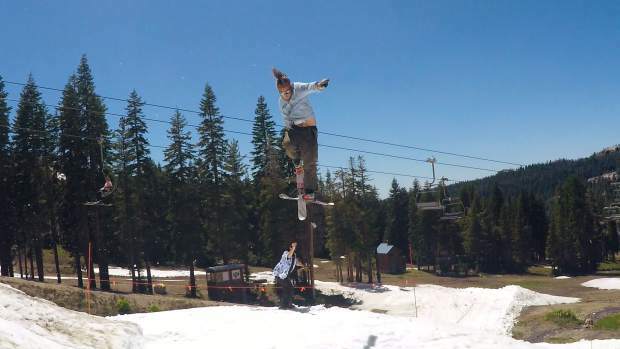 Since closing the mountain to the public, Boreal and Woodward Tahoe have hosted a number of snowboard and skiing camps, and also have held a previous Summer Shred day on June 10. Joey Leppien, who has been working at Boreal for the past four seasons, was on hand as the mountain crew prepared for its final day of skiing and snowboarding. From the top of the resort, skiers and snowboarders made their way down a narrow section of ice and snow, until reaching Boreal’s terrain park. The park boasted several rails, boxes and other features, along with a few small- to medium-sized jumps, as riders flipped, spun and pulled off grabs, testing the progression made during the year or from one of the resorts recently concluded ski and snowboard camps. As the final minutes of the 2016-17 season ran out, Leppien compared this winter to the past he’s seen at Boreal. Boreal’s skiing and snowboarding operations may have ended for the season, but Woodward Tahoe remains open for the summer and offers several summer camps, including ones for BMX, skateboarding, parkour, cheer, digital media, and more. According to Norred, the resort will also open its mountain bike course for summer camps on July 9. 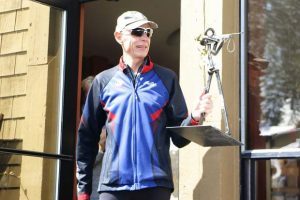 Boreal will have a lift service on its Castle Peak chairlift for mountain biking, and according to Norred, will join Northstar California Resort as the area’s only two resorts to offer lifts for mountain bikes. Boreal currently has Aug. 18 set aside for the public opening of the mountain bike park. For more information on signing up for Woodward Tahoe’s camps, visit woodwardtahoe.com.